THE WOODLANDS, TX (KTRK) -- If you've dreamed of a bigger closet, we have just the thing to put on your wishlist. A home in The Woodlands with the largest closet in the country has hit the market! Homeowner Theresa Roemer made women across the country jealous in 2014 when she let cameras inside her two-story closet. She has now decided to part with the home. The home made national headlines once again when the massive closet was burglarized. 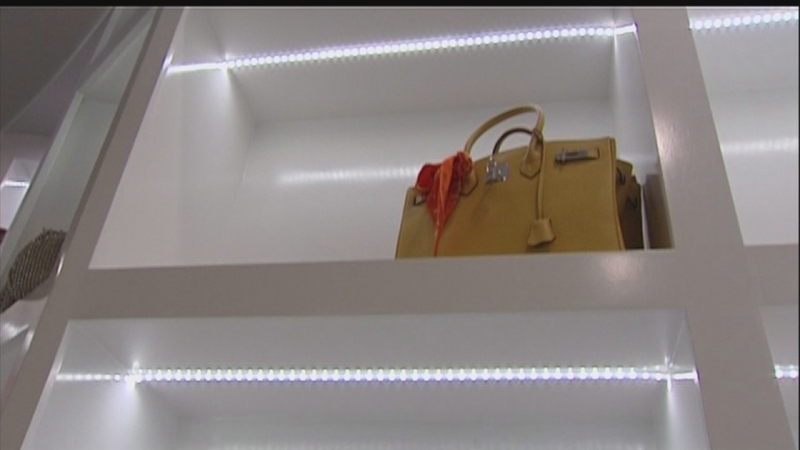 After the feature on Roemer's glamorous digs, robbers stole more than $1 million worth of designer handbags and jewelry. Then, they tried to extort her for half a million dollars. It was previously listed after the media attention in 2014 for $12.9 million. Now, the price has been slashed to $7.95 million. We're getting a look at surveillance video from a burglary at one of the biggest closets in the country. Over the weekend, someone broke into that closet in The Woodlands.